Social Sector Partners works with funders and nonprofit organizations on understanding what it really costs to achieve great outcomes, improving organization’s financially sustainability, and strategically repositioning organizations for greater impact. Healthy, vibrant, and just communities require a strong and sustainable social sector. We provide a range of training and workshops for both nonprofit leaders and funders to help build the capacity, financial strength and sustainability of community based organizations. A nationally recognized speaker, author and consultant on creating a more financially sustainable and effective social sector, David Greco brings more than 25 years of experience in driving the growth and impact of social sector organizations. He regularly presents as national conferences such as BoardSource, Grantmakers for Effective Organizations, Independent Sector, Social Enterprise Alliance, Association of Corporate Contribution Professionals, and Exponent Philanthropy as well as numerous local and regional conferences. He has provided training for staff and grantees for dozens of foundations including the David & Lucile Packard Foundation, Flora & William Hewlett Foundation, the Bill & Melinda Gates Foundation, Weingart Foundation, Ford Family Foundation, Greater New Orleans Foundation, and Virginia G. Piper Charitable Trust. 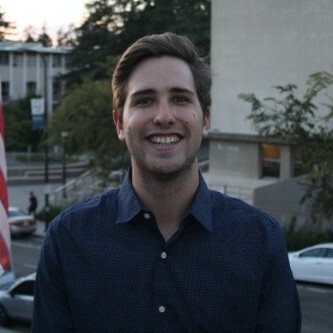 Paul Chyba recently graduated from the University of California, Berkeley with degrees in economics and history. He is bright and highly motivated, and approaches complex problems with nuanced solutions. Through his volunteer experience as a student, he became impassioned by the work of the nonprofit sector and is continuing to drive philanthropic change with Social Sector Partners. Social Sector Partners engages a network of outstanding trainers, coaches, consultants and facilitators to bring a depth of experience and skill sets to our clients. Sylia Obagi is a social innovator, coalition builder, and hands-on manager of philanthropic-inspired change. Her bottom line: measurable, sustainable change that improves the lives of individuals and the communities they live in. Most recently, she guided the creation of a significant new charitable funder in Los Angeles as the first Chief Executive of the Roy & Patricia Disney Family Foundation. Previously, Sylia served as the second most senior executive at the Annenberg Foundation, where she helped build and create the Annenberg Space for Photography, launched LA n Sync, and created Annenberg Alchemy, a capacity-building program that has served more than 2,000 nonprofit CEOs and board chairpersons. 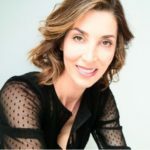 Understanding the importance of nonprofit effectiveness, she became a certified professional executive coach providing leadership and governance coaching to nonprofit CEOs and board members. Sylia has an MBA from the Anderson School of Management at UCLA and 5 years as a CPA at Arthur Anderson. 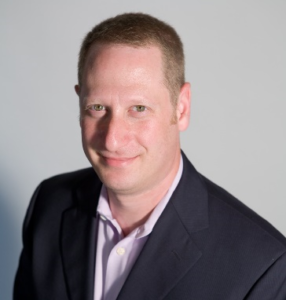 Dave Sternberg is a member of the faculty at the Lilly School of Philanthropy’s Fund Raising School, a BoardSource senior governance consultant, and an independent consultant with Loring, Sternberg and Associates. Dave teaches “Developing Annual Sustainability, Principles and Technique of Fundraising” and “Developing Major Gifts,” as well as numerous training programs nationally and internationally. As a BoardSource consultant, Dave provides counsel on such topics as strategic planning and fundraising. His clients describe him as a gifted strategist, adept at assessing and identifying solutions for organizational and board challenges, and brutally honest. In 1996, he founded Loring, Sternberg and Associates, which provides counsel to educational foundations, social service organizations, membership organizations, children’s groups, and museums. In partnership with BoardSource, Dave authored the training Purposeful Boards, Powerful Fundraising as well as the second edition of Fearless Fundraising for Nonprofit Boards, which is one of the organization’s best sellers. 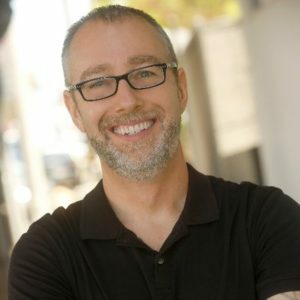 Michael Kass is a Los Angeles based facilitator, coach, and award-winning storyteller with two decades of experience in the world of nonprofits and social impact. 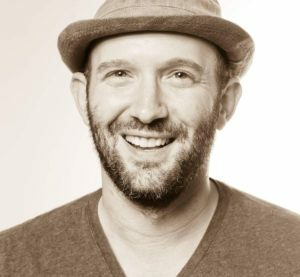 He is the founder of The Center for Story & Spirit, a project dedicated to helping organizations, communities, and individuals harness the power of their stories to create change. Michael’s trainings on storytelling, speaking, and mindfulness have been featured at events hosted by the Center for Nonprofit Management, Nonprofit Finance Fund, NationBuilder, Association of Fundraising Professionals, The Music Center, Kaiser Permanente, CreatorUp!, Swipe Out Hunger, The Baker Center for Entrepreneurship, Annenberg School of Communication, the Jewish Federation of Los Angeles and many individual nonprofit and tech organizations. Michael is a graduate of Rice University and Northwestern University. He is an ACC coach certified by the International Coach Federation, is a mentor with the Creative Visions Foundation, serves as a Storytelling Expert with the Wellbeing Project, and on the Board of Directors of the Breath Center. Gary W. Phillips has counseled clients in all essential areas of institutional advancement. His special expertise is in the areas of developing volunteer and staff leadership; facilitating strategic planning and organization management; counseling in capital and endowment campaigns. Gary has worked with a wide range of organizations including the Orange County Performing Arts Center and Kennedy Center for the Performing Arts; Smithsonian National Museum of American History, Huntington Library, and Clark Art Institute-Massachusetts; Los Angeles and San Francisco Zoos; Marlborough, Laguna Blanca, Loyola High and Polytechnic Schools; Children’s Hospital Los Angeles, UCLA Medical Center and USC School of Medicine. Gary’s book “The Art of Fundraising: The Appeal, The People, The Strategies” sold through Amazon Books has been reviewed and has received critical acclaim by professionals in the field. Prior to founding his firm in 1971 Gary served as Director of Development for UCLA, Assistant Director of Development for Stanford University, and director of both a corporate and private foundation. Gary is a graduate of Stanford University. Respect – We believe that social sector organizations are the solution, not the problem. That these organizations operate in a flawed system that actually undermines their ability to achieve impact. And we understand that it is these front line providers that ultimately must lead the change. They are the experts and they are doing the work. Focus on Impact – The goal of our work with organizations is to increase impact in the local communities. And we understand that the path to increased impact begins with strengthened, more adaptive organizations. Holistic – We provide a continuum of consulting services that links together the elements of an adaptive, innovative and sustainable organization: financial strength, an effective fundraising strategy, leadership and governance, and an outcomes-based strategy.